A 1904 stone cathedral was gutted, leaving the beautifully constructed stone walls. Inside, the building was totally rebuilt giving each suite a unique, luxurious, modern, yet old feel. 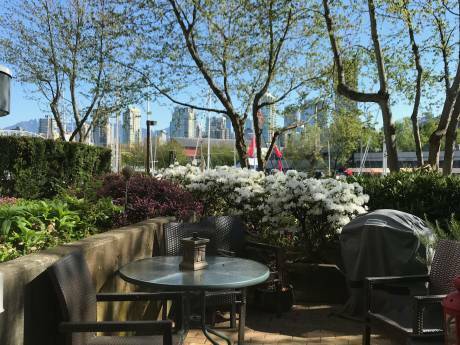 Our seed has hardwood throughout, area rugs, dark rustic sub-continent style wood furniture, a gas fireplace, and 2 large balconies with unobstructed views of the downtown core of Vancouer, the rugged North Shore Mountains, and the Pacific Ocean. 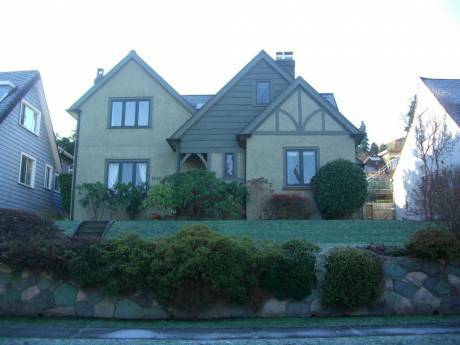 There are 2 large bedrooms, both with queen sized beds, and a large kitchen with granite countertops and a gas range. We are Michael and Krista. Both professionals (Commercial Pilot and Small Business Owner). We have never house swapped before, but are keen to try it out if someone from Hawaii is keen to see Vancouver in September. 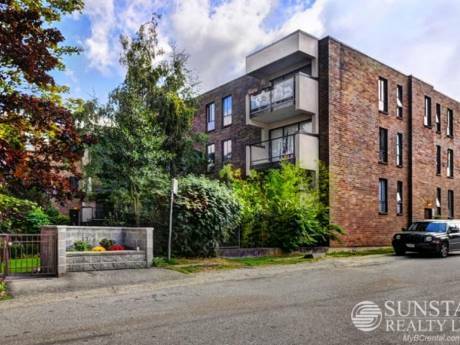 The building is conveniently located in Vancouver's hottest up and coming funky neigbourhood, Mount Pleasant. There are restored Victorian homes, intermingled with outdoor gear shops, and edgy, funky vibrant restaurants, cafes, and bars. It's a 30 minute walk to downtown, or a 5 minute drive. Kayak and boat rentals can be found less than 10 minutes drive away, and you can drive to Whistler in under 2 hours.